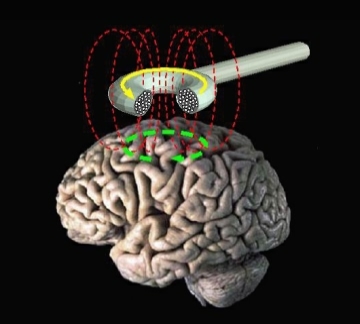 Have you ever heard of Transcranial Magnetic Stimulation? It is a new form of therapy being studied for various medical conditions, including,Parkinson's disease, Alzheimer's Disease, MS, Stroke, and Bipolar Disorder. During a treatment session, a device is placed against a patients head, allowing magnetic impulses to pass into the brain. The procedure is believed to alter activity levels in relevant parts of the patients brain and may actually restructure neural pathways. In early 2014, a French study revealed some promising results for patients with fibromyalgia. Repetitive TMS (rTMS) was studied as a treatment for an 11 week period. The researchers measured mental and physical quality of life, pain mood, and anxiety over the course of the study. At conclusion, they reported that there was some improvement of condition in the study subjects, mainly in the emotional and social aspects. It is still too early to know whether or not TMS or rTMS will be the fibromyalgia treatment of the future, but it's good to be aware that help is on the way.